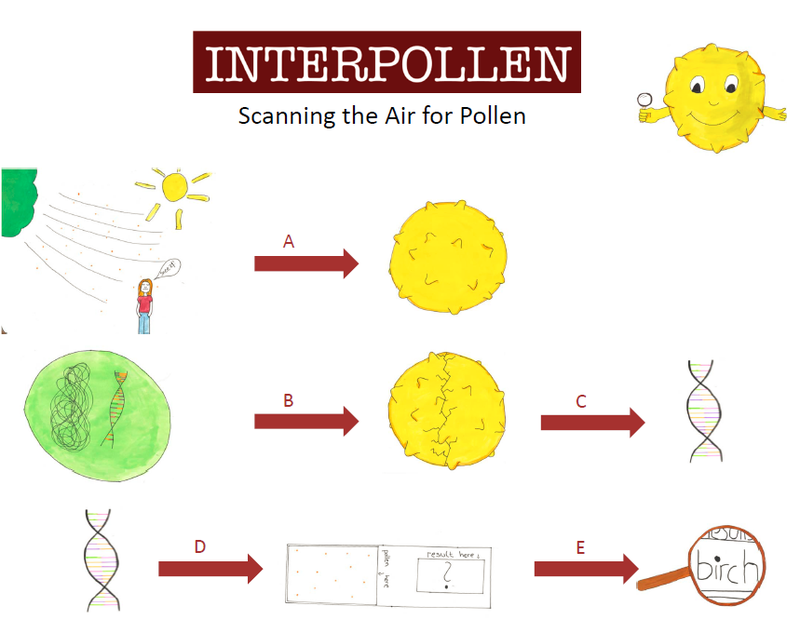 We are the Highschool team Rheda_Bielefeld from Germany and our projects’ name is INTERPOLLEN. With our project we want to help as many people as possible and- because there are many people in Germany who are allergic to pollen and need to take a lot of medicine because of their allergy- we wanted to develop a test strip so that each individual person can measure the local pollen dispersal with it. In the flow chart on the left, you can see our workflow. A great percentage of Earth’s population is allergic to specific substances. Approximately 20 million people living in Germany are allergic to different plants, animals and much more, but close to half of them are allergic to pollen. We want to help those people suffering from an allergy to pollen by advising them which dose of medicine is necessary for each day. Although there is already useful medicine, we are convinced that we can optimize the use of such medicine and reduce the exposure to unnecessary drugs because they have negative side effects like lowering the personal performance capacity, causing the user to become tired and many others. Therefore we use a DNA-based method which uses pectinase and cellulase to open the pollen and isolates their DNA. This DNA will be used for a PCR with specific primers against the birch allergen "Bet". By hereby identifying pollen we aim to measure the current pollen exposure in the air.